Allison Gryski: Nearly Almost Done! I'm planning to make a quilt for our bed this winter, so I'll have to check out that tutorial. If you do make another one for picnics, you could try backing it with an old blanket. Then you don't need to worry about the back getting dirty, but the top still looks pretty. 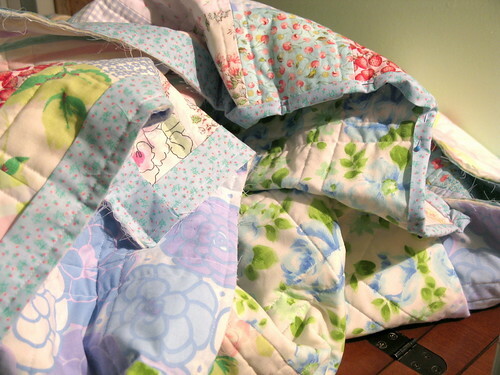 Just cruising through blogland and I found your site....I love the quilt. I hope you finished it and it's keeping you warm.